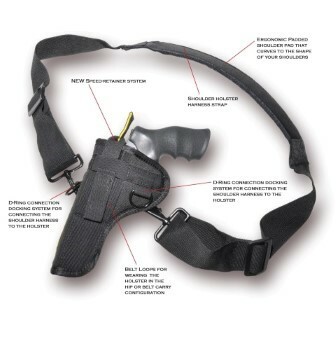 The Alaskan is an ambidextrous and convertible shoulder/hip holster system and uses our NEW Speed-Retainer system to secure the firearm. The Alaskan is low profile making it easy to be worn on the left or right side in a crossdraw or traditional carry. Fits most revolver sizes.